Honoring the resort’s appeal to multiple generations and the dreams of young and old alike, the concert featured the talents of an elderly male Erhu player and a young female violinist playing side by side. The performance culminated with an 800-person, multi- generational choir filling the stage as Enchanted Storybook Castle sparkled with light, representing new dreams being ignited to unlock the childlike spirit in everyone. The Walt Disney Company is proud to celebrate the opening of Shanghai Disney Resort, the first Disney resort in Mainland China and the sixth Disney resort worldwide. A three-day grand opening celebration commemorates the culmination of one of the largest foreign investment projects in China’s history, and Disney’s largest investment to date outside of the United States. The resort’s opening is the result of a long collaborative relationship with the Shanghai Municipal Government and joint venture partner Shanghai Shendi Group, and offers a new world-class tourism destination for guests from China and around the world. At opening, the first phase of the resort is within a land area of 963 acres with additional land available to accommodate future expansion, including additional theme park and other related resort development. The three-day celebration begins on June 14 with the global premiere of the first Mandarin production of the Broadway hit THE LION KING at the 1,200-seat Walt Disney Grand Theatre in Disneytown. It continues on June 15 with a grand opening gala concert at the Enchanted Storybook Castle led by award-winning composer Tan Dun, known for film scores including “Crouching Tiger, Hidden Dragon” followed by a Starlight Celebration dessert party in Tomorrowland. 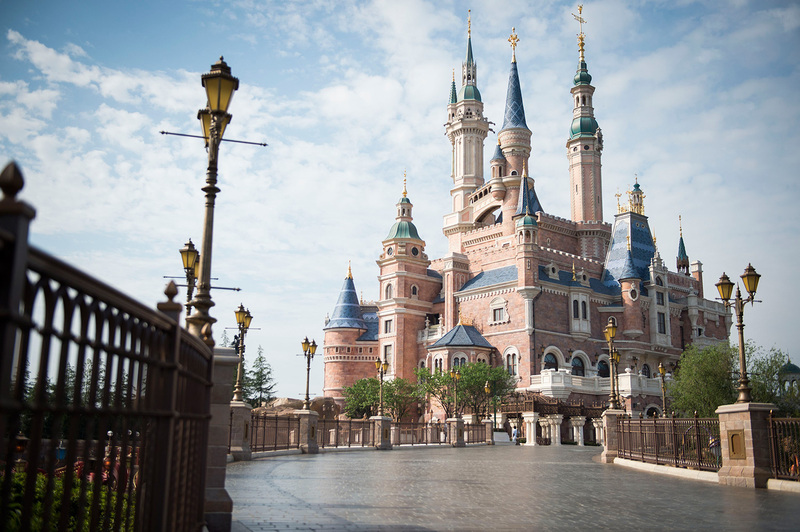 On June 16, there will be a festive dedication ceremony in front of the Enchanted Storybook Castle to officially open Shanghai Disney Resort to guests. The resort showcases Disney’s industry-leading practices, including quality and safety standards, the introduction of new innovative technologies, and operational best practices — all of which contribute to the overall theme park industry and the development of Shanghai’s tourism industry. It is a result of years of collaboration and innovation, with contributions from Disney cast members and Imagineers, as well as thousands of artists, designers, construction workers and suppliers from across China and around the world. Shanghai Disney Resort broke ground in 2011. In April 2014, the resort’s shareholders jointly announced an accelerated expansion plan to capitalize on the tremendous growth in China’s tourism sector – adding more attractions, entertainment and other offerings to increase capacity at the theme park on opening day. Throughout its development, Shanghai Disney Resort aimed to not only build a world-class tourism destination, but also serve as a valuable community partner and active corporate citizen in Shanghai and China. Working within the community, the resort provides support to address a wide range of needs for children while creating opportunities to strengthen relationships with the important adults in their lives. Last week, in honor of the grand opening of Shanghai Disney Resort, The Walt Disney Company announced a $3.1 million USD (RMB 20 million) donation to support the creation of Disney-themed play spaces in 50 children’s hospitals throughout China. StarWars.com takes you on a special Behind the Scenes look at the Jedi Training Academy. Check it out!